If you love Peking Duck, give Peking Chicken a try! It’s tender, flavorful and cooked to perfection in the slow cooker. I recently finished up a Craftsy course online, Slow-Cooker Savvy: Make Your Best Meals with Michele Scicolone. 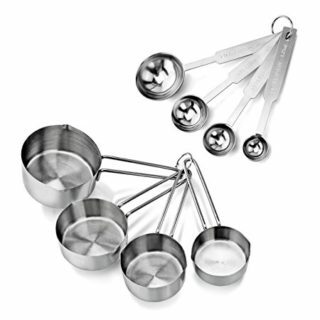 One of the recipes she featured piqued my interest and I wanted to try it out and see how our family would enjoy it. Peking Chicken was inspired by the classic Peking Duck recipe. I’ve never tried Peking Duck so I can’t compare, but if it’s anything like Peking Chicken, it’s pretty darn good! 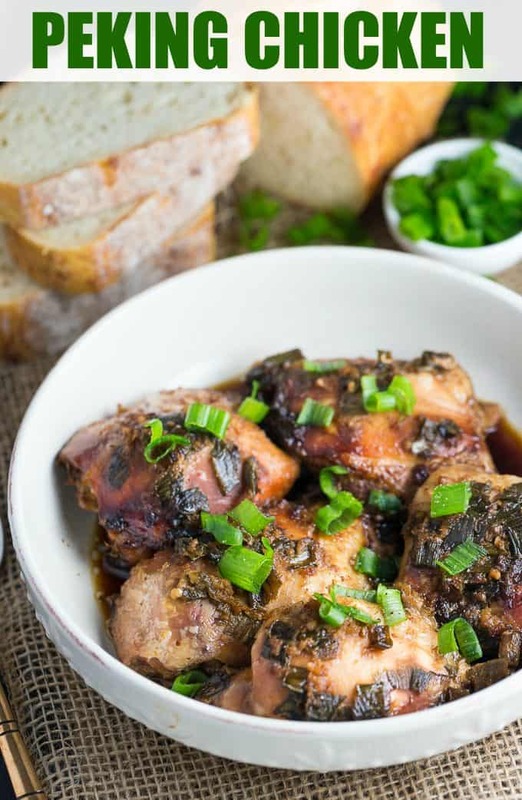 Michelle, the Craftsy instructor, recommended chicken thighs for this recipe since it would most closely resemble duck meat. I typically cook chicken breasts, my favourite cut, so it was a nice change to try something different. The chicken thighs were tender, flavourful and held up well to slow cooking. Sometimes chicken breasts fall apart in the slow cooker. 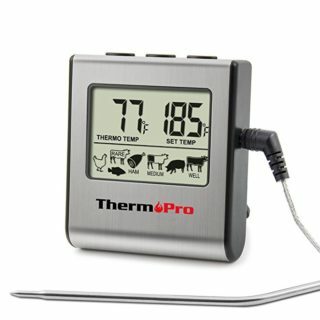 I used a meat thermometer to make sure my chicken was cooked completely. I’m nervous about cooking meat sometimes so I wanted to be sure I wasn’t serving my family raw chicken. I was good to go with the amount of time suggested in the recipe! 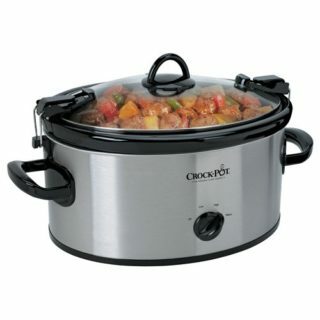 The first step is to spray the inside of your slow cooker with cooking spray. Place the chicken thighs in the slow cooker and season with salt and pepper on both sides. In a small bowl, stir together green onions, garlic, soy sauce, honey, ginger and sesame oil. Pour the sauce over the chicken thighs. If you’ve tried Peking Duck before, make this recipe for Peking Chicken and let me know how it compares. I’d love to hear how it turned out for you. If you love Peking Duck, give the chicken version a try! It’s tender, flavorful and cooked to perfection in the slow cooker. Spray the inside of the slow cooker with cooking spray. Place chicken thighs inside and season with salt and pepper on both sides. In a small bowl, mix together green onions, garlic, soy sauce, honey, ginger and sesame oil. Pour over top of the chicken thighs. Cook on low for 6 to 7 ours or until chicken is cooked completely. I tried a new chicken dinner the other night and it was a hit. 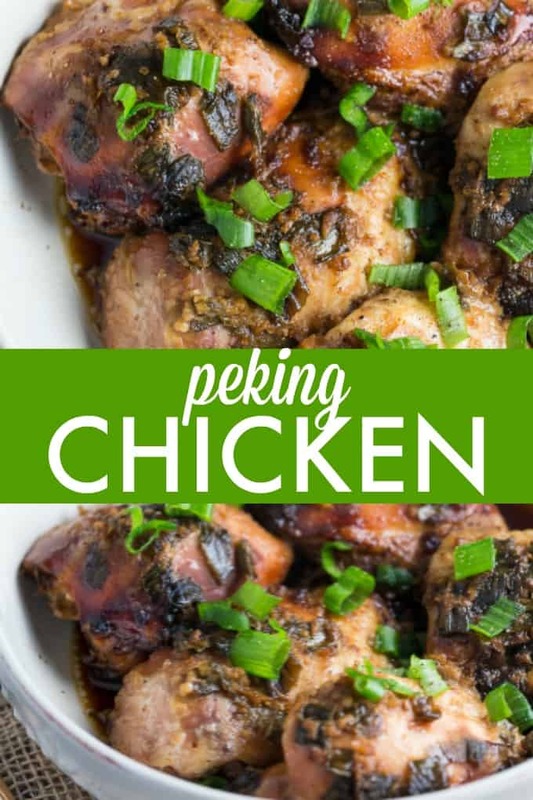 I have never eaten Peking Duck but this chicken recipe looks real delicious. This is another new recipe I will have to try. I have never tried Peking Duck but all the recipes I have seen it looks so crispy and I want to try it so bad, so the Peking Chicken I think would be good but won’t have that crispy outside since it’s cooked in the slow cooker, but it still sounds good!! Not with bread though, surely!? If it’s a Chinese chicken recipe it’s gotta be rice! I would love this with rice on the side. Thanks for sharing your dish looks amazing thanks for the recipe.I’m sure my family would enjoy this ! We eat a lot of chicken and we’re always looking to try new chicken recipes. This one looks yummy so going to try it. I have had Peking Duck and it is delicious, especially the crispy skin. At a Chinese take-away in England you could actually buy just the skin with trimmings – fantastic. The actually Peking Duck I once had here in Canada but don’t ask me where it was now, it’s years ago. I will have to try this recipe sometime but like you I’m more for chicken breast so I’ll have to eat them first. i love to try out this recipe because i have never had this before. i think this would make a great sunday dinner meal. i appreciate you sharing it. Can’t wait to try this – pinning to make this week! 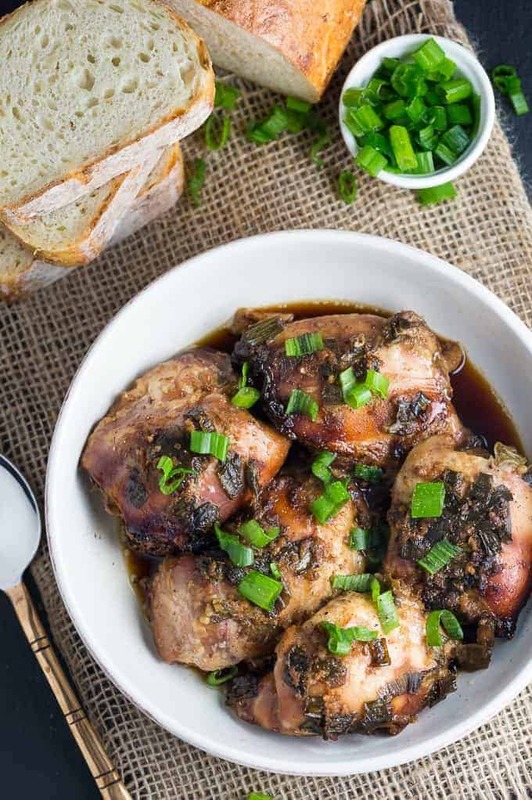 That sauce looks wonderful and I love the idea of using chicken thighs instead of duck. I love your Peking Chicken, it looks delicious! Hope you are enjoying your day and thanks so much for sharing your awesome post with us at Full Plate Thursday! Yum! 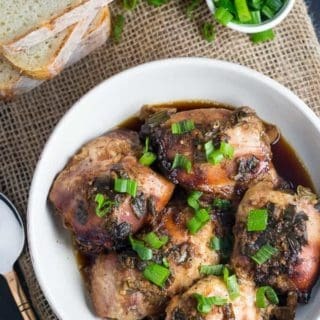 This sounds delicious, and easy to make with chicken thighs! Thanks for linking up with Merry Monday this week. I would love to try this recipe. The smell of all those ingredients must be amazing. Sounds good. I have some chicken thighs to use up so will have to try this out. I have to try this, I love Peking duck. This looks like a great recipe, it has most of the ingredients I love to use. Not that i’ve ever made teriyaki, but it kind of sounds like that to me? At any rate, it sounds delicious. I can’t bring myself to eat dark meat though so I might do a mixture of things and breasts… this way my husband and daughter can do the dark and I can do the white. Thanks!